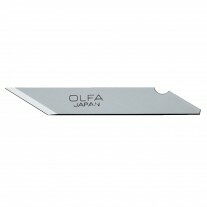 This rolling Olfa razor blade is perfect for all of your sewing and quilting needs. 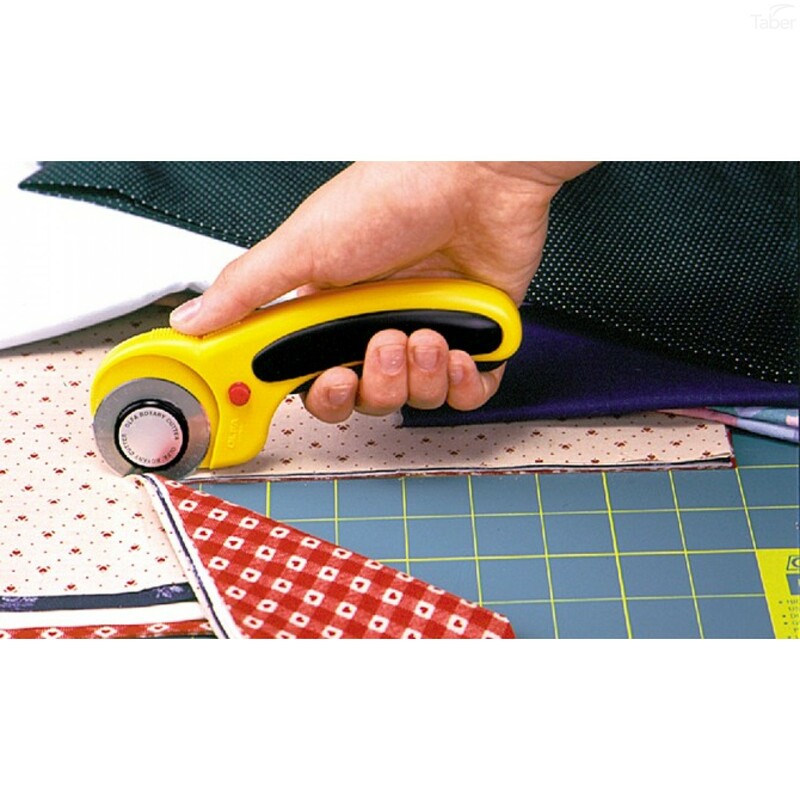 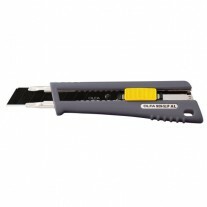 Sharp enough to cut through more than 6 layers of fabric, making quick work of your strip, block, and pattern cutting. 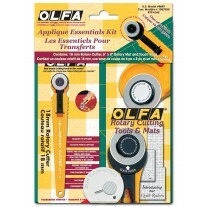 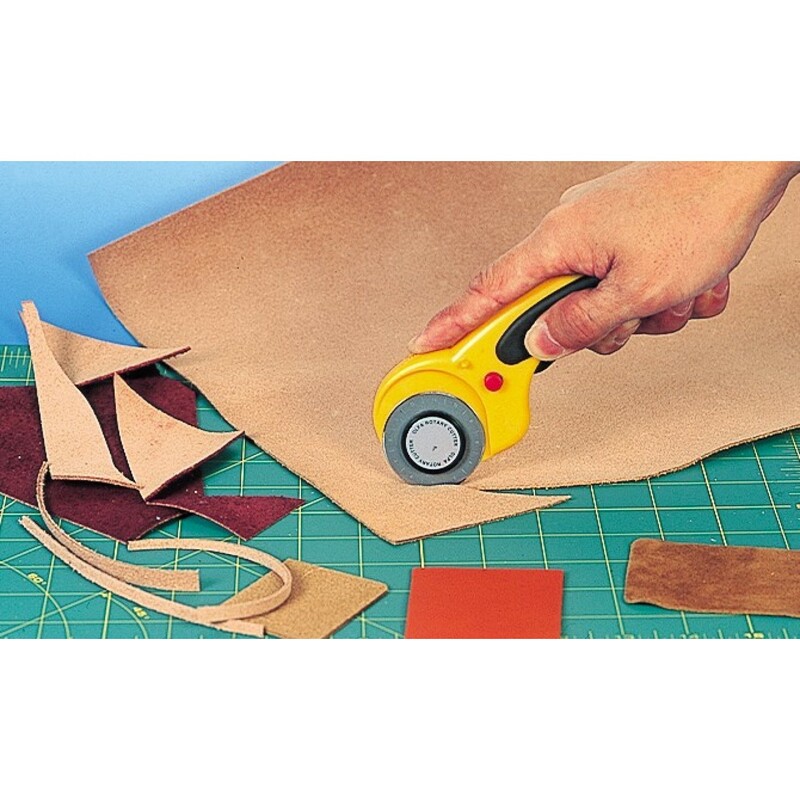 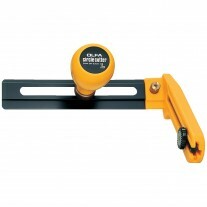 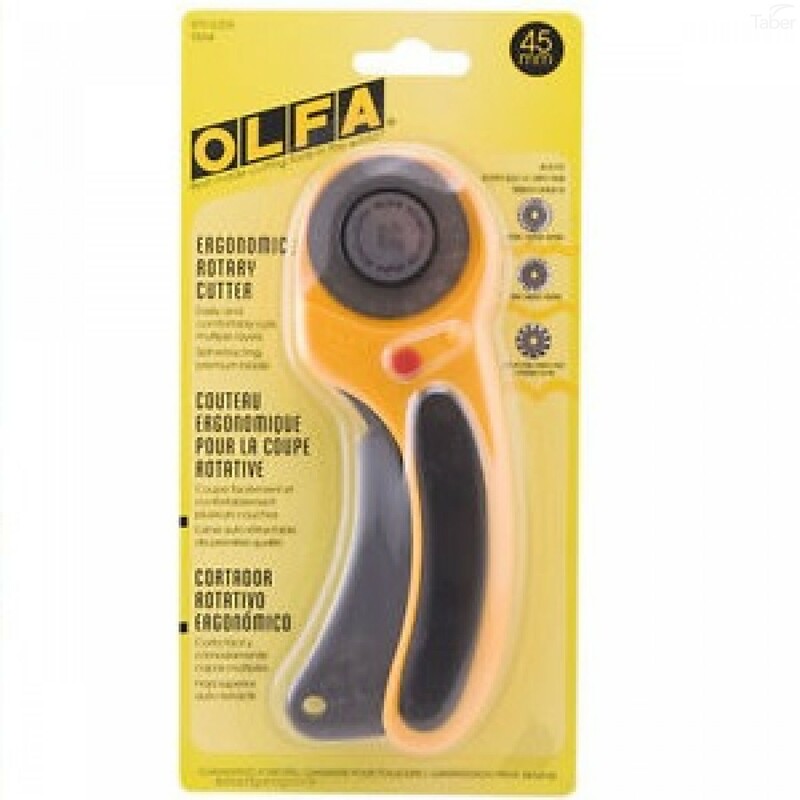 This OLFA® rotary cutter is a combination of comfort, convenience, strength and safety. 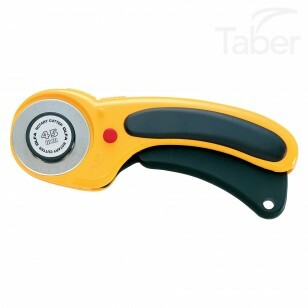 Its ergonomic handle with anti-slip rubber grip eliminates hand fatigue and stress, while the squeeze trigger allows the blade to self-retract for safety or lock open for comfort . 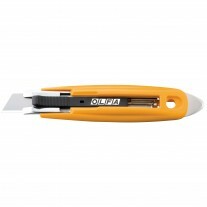 And the quick blade change feature won't slow down your project. 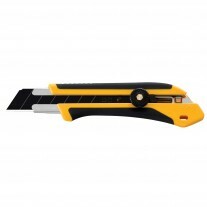 Blade is made of high quality tungsten carbide tool steel for unparalleled sharpness and superior edge retention. 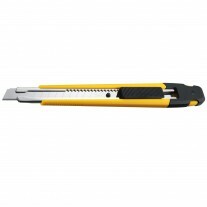 For right- and left-handed use.